In 70’s Norfolk we were lacking in role models. This was pre Delia Smith, Stephen Fry or even Alan Partridge remember. Norfolk was pretty much at the end of the universe, not somewhere you would come to by accident and Londoners had yet to discover they could trade in a damp bedsit for a country cottage in Little Snodburgh. Thorpe Grammar School had two ‘old boys’ one was a sports person so I never bothered to learn their name. The other was Neil Innes. Innes, of course was the most musical member of the Bonzo Dog Do Dah Band (pretty soon to become The Bonzos). As the band imploded he fell in with the Pythons and in particular Eric Idle’s Rutland Weekend Television. This in turn led to the best ever Beatles parody band, at least until the formation of Oasis, the Rutles. We had plenty to aspire to although Innes was hardly celebrated at Thorpe Grammar possibly because of the roguish nature of Rock and Pop in general. My geography teacher once did a spot check on our Geography folders and was outraged to find I had written ‘dis pop’ on mine. I didn’t have the heart to tell him that this was not a music phenomena but rather stood for distribution of population which had been our homework task for the night. 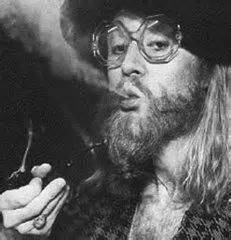 Anyway, Innes was just a talented musical magpie who only started being creative after he had left Norwich for the bright lights of London, the real genius of the Bonzo’s was, of course Viv Stanshall. John Peel admitted that he was Always overawed by Stanshall who, like Captain Beefheart apparently possessed a huge creative intellect. Certainly he seemed to possess just too many ideas for just the one brain and ,like Beefheart, his ideas were all his own work. Such an overheated intellect must have been a strain and by the 70’s he was experiencing problems with both alcohol and valium which has been prescribed with irresponsible abandonment in the 60’s. Both drugs suppress the central nervous system with the consequences of increased anxiety when they wear off encouraging continued and increased use. Stanshall spent most of the 70’s churning out streams of consciousness with relatively little evidence of quality control. Peels long-time producer John Walters had plenty of time for his vagaries and would indulgently offer him radio time, usually on Peels show. Peel is often remembered for his championing of indie and ‘boring bands from Belgium’ and of course his early championing of Punk. Pre all this however his shows were brilliant, within half an hour you might hear Martin Carthy, Ivor Cutler, Soft Machine and, of course, Captain Beefheart or Viv Stanshall. Walters tells the story of a Stanshall session where he and rest of the studio team waited with increasing frustration for the great man’s arrival. Eventually Stanshall hauled himself into the studio carrying a plastic bag clinking with various bottles and asked for the money for the taxi. Having settled the bill and poured everyone a drink Walters suggested that they get on with the recording.’Hang on old chap’ said Stanshall ‘I’ve got to write the bugger first’. Part ‘Under Milk Wood’ part ‘The Archers’ with a smidgeon of ‘Upstairs Downstairs’. Sir Henry at Rawlinson End is populated by a cast of grotesque s from Sir Henry himself to other members of his dysfunctional family and servants such as scrotum ‘the wrinkled retainer’. It’s packed with fantastical inventive language and hilarious one liners. Its not perfect and never would be and being the 70’s there’s a whiff of racism and homophobia on rare occasions but at least it’s a funny whiff. One of my favourite scenes is the emergence of of ‘resting’ artistes Terry Tidy and Nigel Nice now posing as gentleman cleaners unable to resist the lure of Rawlinson music room much to Sir Henry’s horror. Eventually it got tidied up a bit and released as an LP and then became a film featuring Trevor Howard as Sir Henry and Stanshall as his brother Hubert. For some reason it was filmed in sepia so barely survived the transition. There is of course a Freudian element to all this. The overbearing Sir Henry could be seen as Stanshall’s father who actually wore a bowler hat and commuted into the city every day to work. Hubert on the other hand, over sensitive imaginative and ,quite frankly, mentally ill could be seen as the young Viv. Have a look at his autobiographical series ‘Crank’ on YouTube if this is your sort of thing. Crank was pretty much a last innings for Stanshall. Substance misuse was affecting his mental health, Valium, as was becoming apparent, is a monster drug, capable of causing seizures in withdrawal and death when mixed with alcohol. Stanshall was apparently prone to wandering around Muswell Hill talking to himself, by the time of his death in 1995 which was the result of him setting fire to his flat. Had he lived longer there’s little doubt that he would still be working today probably appearing with his admirer Stephen Fry on QI or doing one man shows and voice-overs for adverts. He would have been incorporated into the left of centre mainstream maybe even recording new, ‘not that good but we all love him anyway’ material. But we, and him have been spared all that and what remains is so much better for it. This entry was posted in rock music and tagged 1970's, 70's biography, 70's music, bonzos, Britain, East Anglia, Sir henry at rawlinson end, Thorpe grammar school, viv stanshall. Bookmark the permalink. One of my favourite Viv moments is the ‘alternate’ take of Sailor’s Hornpipe on Mike Oldfield’s Tubular Bells (found on the boxed set and other places). Viv is wandering around the house, upstairs and down, emitting drunken stream-of-consciousness utterances while the titular hornpipe plays in the background. Fabulous.